Her parents, John W. Pledger and Laura J. Pledger, were both born in South Carolina. In the mid-1800' the family name was "Lawless" in Kilkenny, Ireland. James Harden Loyless/Lawless killed a man in a pistol duel in Georgia. He fled to Texas to avoid being taken into custody and changed his last name from Lawless to Loyless. 1. Click on the census to enlarge it. 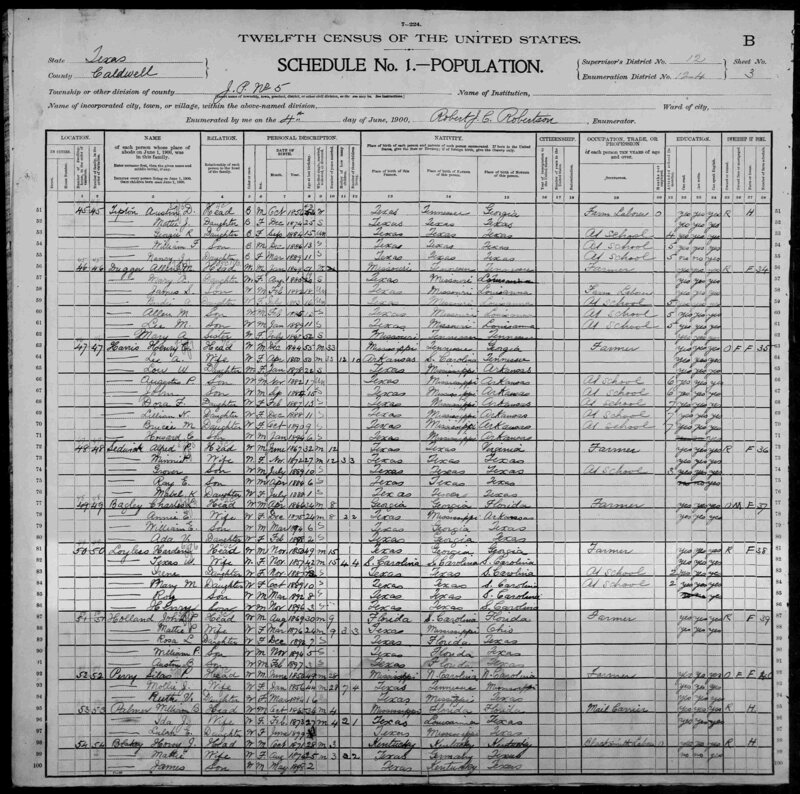 2. go to Lines 81 through 86 to see Loyless family entries in the 1900 US Census.